A new study demonstrates that the populations of thousands of vertebrates, many of which have yet to raise concern, are decreasing, in addition to an alarming global loss of species. Habitat loss, over-hunting and climate change are just a few of the human-induced changes to the Earth that biologists say are driving the planet’s “sixth mass extinction.” Research has shown that we’re losing two vertebrate species a year – a pace that’s on par with Earth’s other five extinction surges, including the most recent that snuffed out the dinosaurs about 66 million years ago. But the wave of pressure on life is rippling far beyond the growing list of endangered animals closest to the edge of extinction, according to a new study. This “biological annihilation” is in fact decimating populations of thousands of other species and potentially threatening our own way of life, a team of biologists reported online Monday in the journal Proceedings of the National Academy of Sciences. 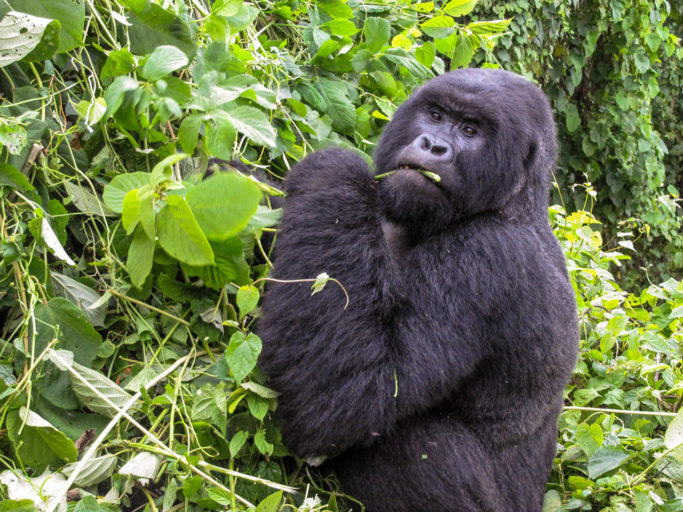 Habitat loss and hunting have driven some animals, such as the Critically Endangered mountain gorilla (Gorilla beringei beringei) pictured here in the Democratic Republic of Congo, to the brink of extinction. Photo by John C. Cannon. The loss of approximately 200 species a century might not seem extreme through the lens of one person’s lifespan, but it’s as much as 100 times faster than historical estimates, according to a 2015 study also led by Ceballos. He explained that under “normal circumstances,” it might have taken as many as 10,000 years for that many animals to vanish. The team also suspected that this outright loss of species might be masking a wider-ranging problem in which distinct populations are disappearing, so they decided to look beyond the animals classified as endangered by the IUCN. To get an idea of how animals’ ranges – and therefore their populations – are changing, they looked at a sample of 27,600 vertebrates, which is roughly half the species that we know exist. The researchers discovered that the populations of nearly one-third of these animals in this sample are on the decline. In terms of sheer numbers, the study’s maps show that perhaps half the number of individual animals that once inhabited the Earth with humans are gone – a loss that numbers in the billions. 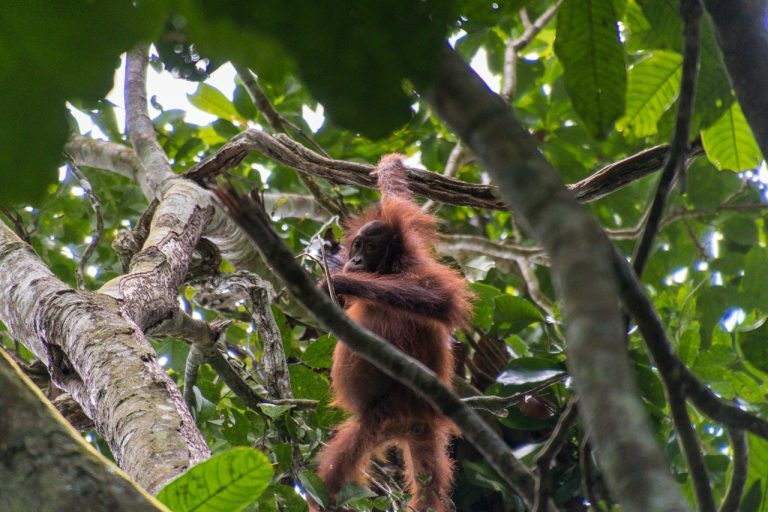 The Critically Endangered Bornean orangutan (Pongo pygmaeus), here in Malaysia, is also struggling to hold on as much of its habitat has been taken over for human agriculture. Photo by John C. Cannon. 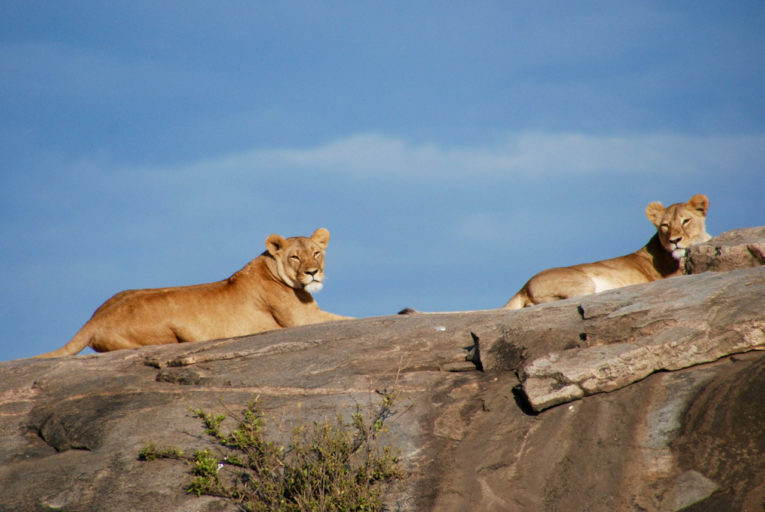 The range of African lions (Panthera leo), for example, has dwindled to less than a third of what it once was, according to the study, and their numbers have dropped by 43 percent since 1993. As they dug into the results of their analysis, they found that “the story gets even more complicated,” Ceballos said. Some geographic areas did turn out to be hotspots with high rates of population losses – the tropical forests of Southeast Asia were particularly hard hit, for example. Few corners of the globe have been left untouched. The African lion (Panthera leo) is listed as vulnerable by the IUCN, but its numbers have declined by 43 percent since 1993. Photo by John C. Cannon. And the devastation cuts across all classes of vertebrates, Ceballos added. Agriculture, the very foundation of human sustenance, depends heavily on birds, mammals and insects for pollination and pest control, said co-author and Stanford University biologist Paul Ehrlich in a video interview by the Woods Institute for the Environment. Time is of the essence, the researchers write. They say that we have at most two to three decades to course-correct. Ceballos pointed to the African savanna elephant (Loxodonta africana) and the results of the Great Elephant Census. It’s important to realize that elephants – or any of the species or populations affected by the sixth mass extinction – won’t be the only losers, Ceballos added, if we don’t address issues like climate change and habitat loss.